The investigation has concluded following a fire at the Avalon RV Resort located at 16860 US Hwy 19. Firefighters were called to the scene at approximately 5:15 a.m. on Friday, February 8, 2019. 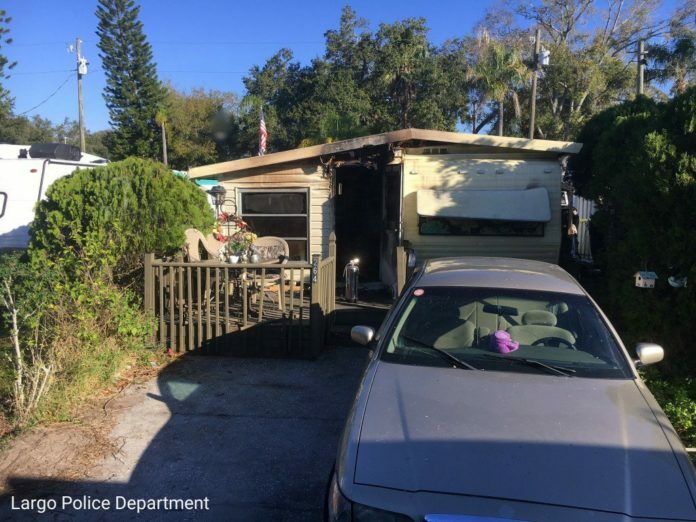 The double fatality fire investigated by the Largo Police Department has been determined to be a murder-suicide. The deceased occupants of the home were 52 year-old Diane Marie Morrocco and 50 year-old Carol Ann Benton. Largo Police detectives found that Morrocco had stabbed Benton to death in the early morning hours of February 8. Morrocco then apparently attempted to kill herself with a knife following the murder. She set fire to the bedroom area and died inside the bathtub from carbon monoxide toxicity. Makeshift barricading on the inside of the north entry door and deadbolt locking of the south door prevented neighbors from gaining entry to help when the fire was seen at approximately 5:15 am on that morning. These conclusions were supported by District 6 Medical Examiner’s Office autopsies and collaboration with the State Fire Marshal. No suicide note was found.